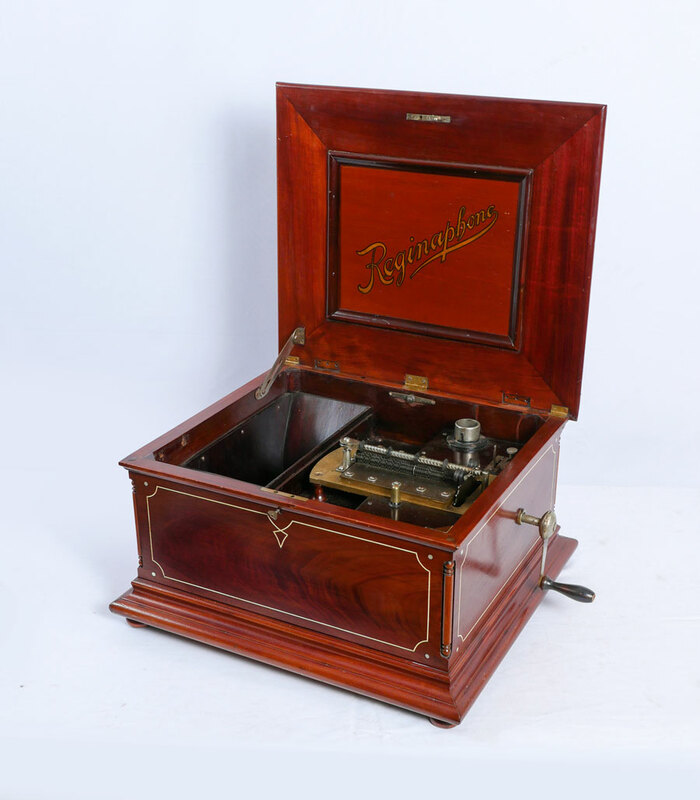 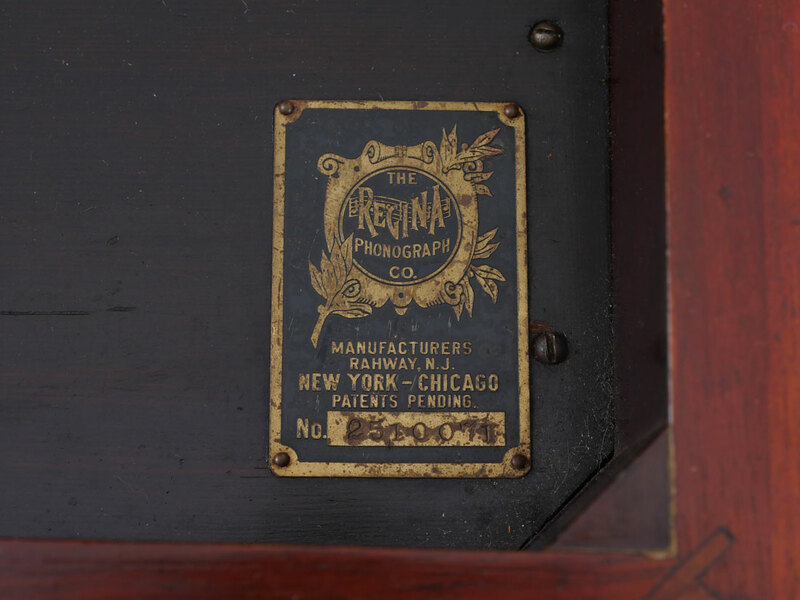 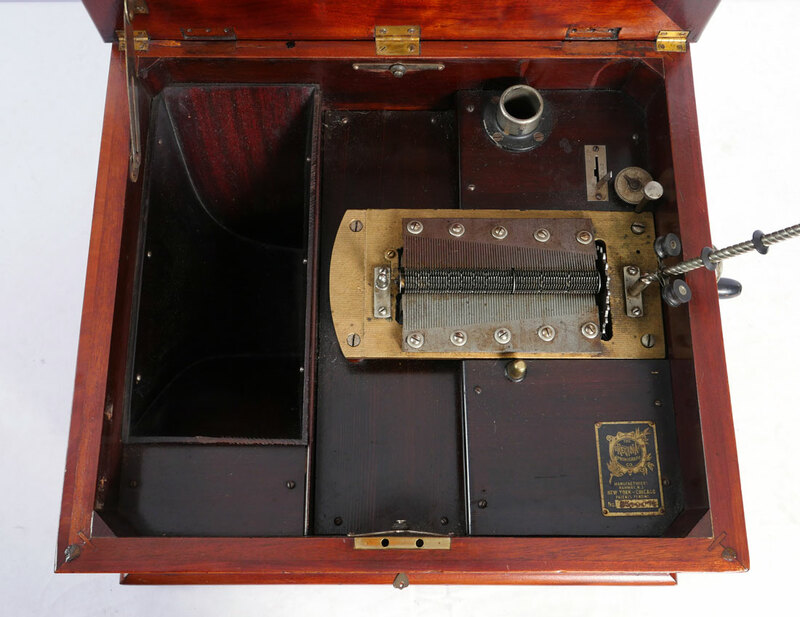 MAHOGANY REGINAPHONE MUSIC BOX AND STAND: Mahogany case with string inlay, original Reginaphone label inside lid, currently cranks and works fine, dual comb teeth appear to be fine, plays 15 1/2'' discs, serial number 2510071. 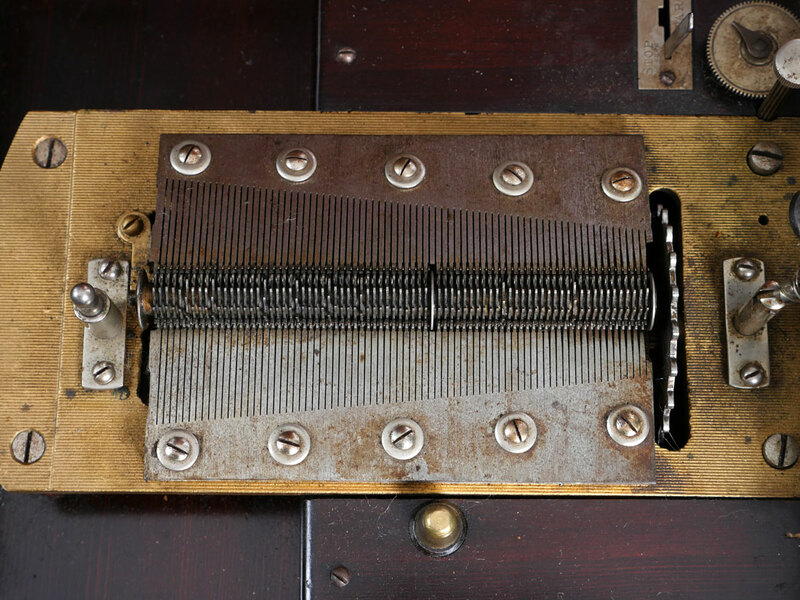 12 1/2'' h. x 21'' x 18 1/2''. 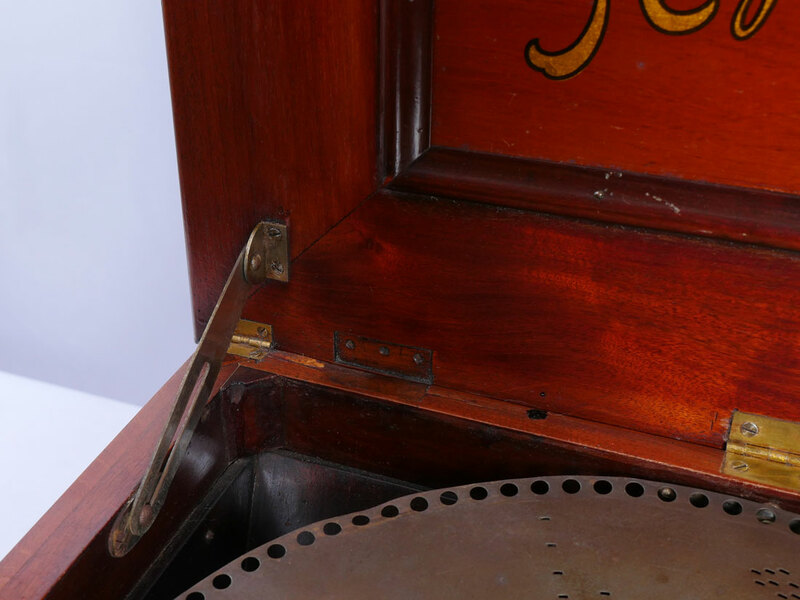 Missing phonograph arm and turntable. 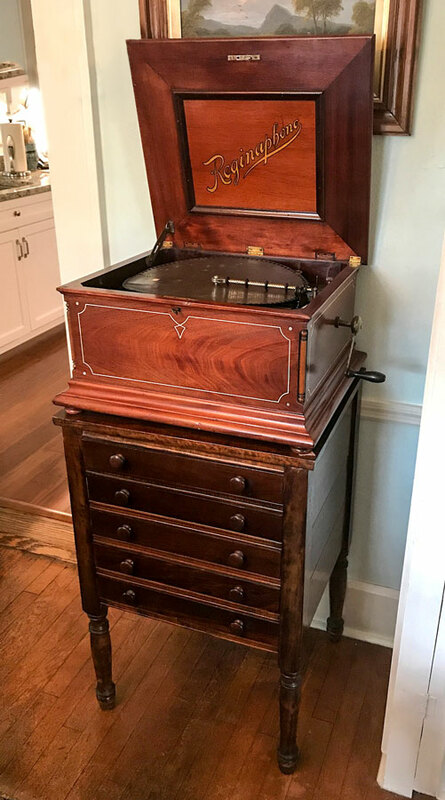 Sold with a 5-drawer music stand with turned legs, 32 3/4'' h. x 22'' x 19 3/4'', and a disc. 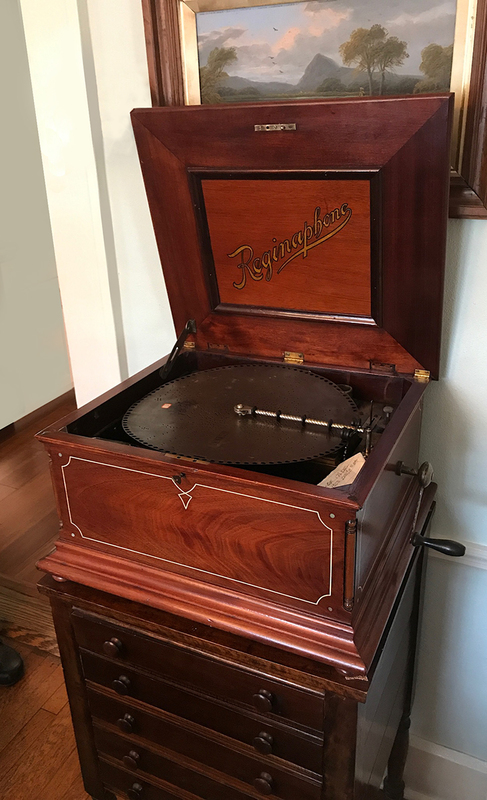 CONDITION: Missing phonograph arm and turntable.